Premium Short-Tail Calico Ryukin Goldfish, 2.5" to 3" long, only 1 left! 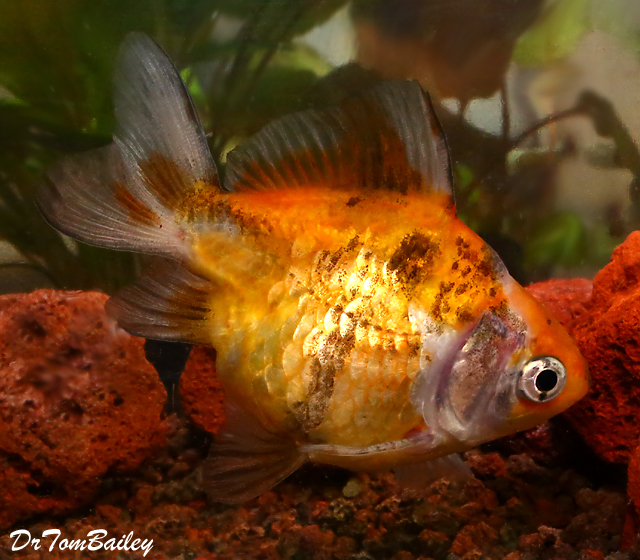 Above: Is a gorgeous premium quality Calico Short-Tail Ryukin Goldfish, swimming in one of our aquariums, when one of us snapped this picture. A Penguin 200 Filter in an aquarium with 20 to 30-gallons of water is OK fro a few small Goldfish, but a Penguin 350B Filter is the right size for a 30 to 50-gallon aquarium.